Home > Tree Care Tips Blog > Need Help with Your Trees? Call an Arborist! One of the benefits of living in the Lake Norman area is the lush landscape that abounds. As local tree care experts, we know there is so much more to tree care than what meets the eye. An arborist – or a “tree surgeon” as we’re sometimes called – is a tree care professional who has the expertise to effectively care for trees and other woody plants. Creating a beautiful aesthetic on your property requires the attention and care of an expert who knows how to perform pruning, tree trimming, removal or other tree care or garden maintenance for your commercial or residential property needs. Our team offers free estimates for tree services to help you determine how best to preserve the natural health and beauty of your trees and ensure that any changes are implemented safely so that your property is not at risk. 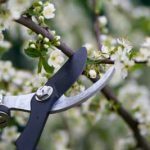 If you’re looking to tame your landscape to maximize property value, an arborist should be the first person you work with to transform your property.